One of the main reasons we bought this house was because of the three bedrooms we have upstairs. We have two large bedrooms, and the third one is slightly on the smaller side, more like a box room but big enough for a single bed and the essentials. Over the years since we moved in, both bedrooms have had a few different themes, from pink to a Minnie Mouse Theme to a monochrome room. I've never really been set on what kind of theme to stick with right now, all their personalities are changing, even my youngest, Freddie, who's two years old. Mia and Elliw, who are 9 and 6 years old currently share a bedroom. 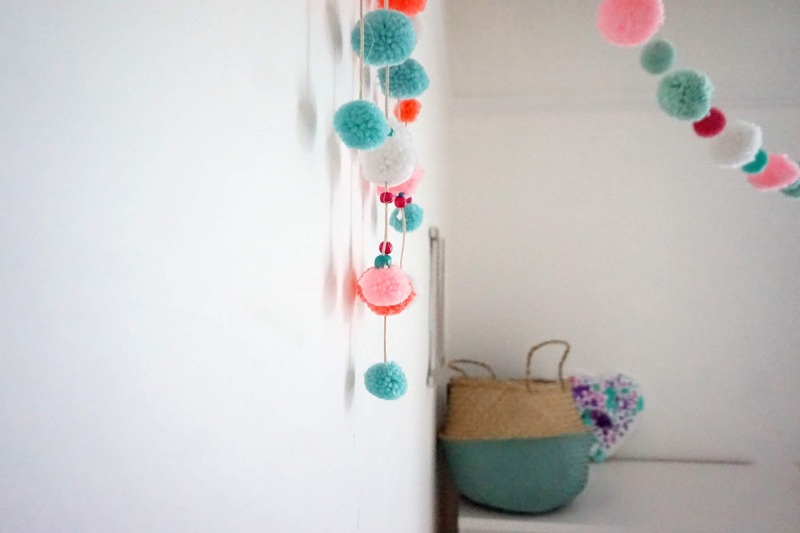 It can be quite difficult to mix in both of their interests and personalities into one room as they are so different. 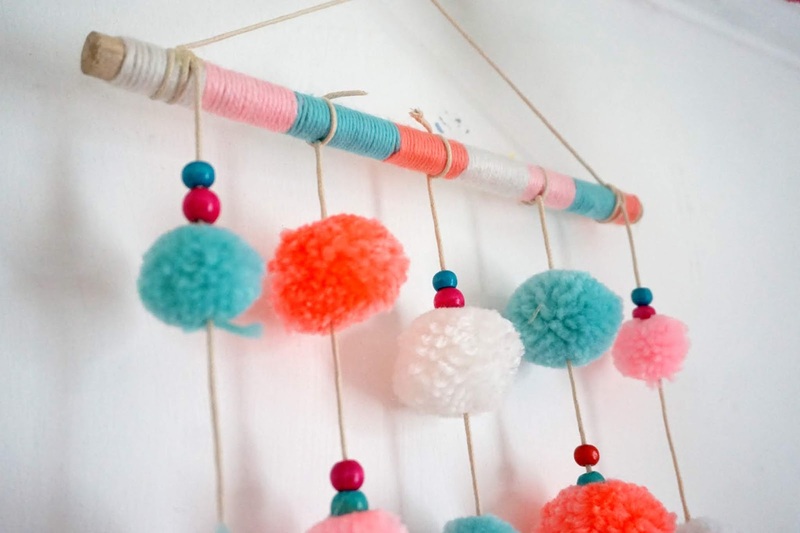 I have now, finally, decided on room colours and a theme for their bedroom. The colours are going to be white, grey and soft pastel colours with their interests added to it such as unicorns and glitter. The feature wall is painted in a grey shade called 'warm pewter', it's a popular shade, and we actually have it in our bedroom, kitchen and bathroom. It really gives the room a warmer feel than the previously 4 white painted walls they had. The other three walls are painted white, and I am planning to keep them white but using two of the walls to bring out the girls personalities. 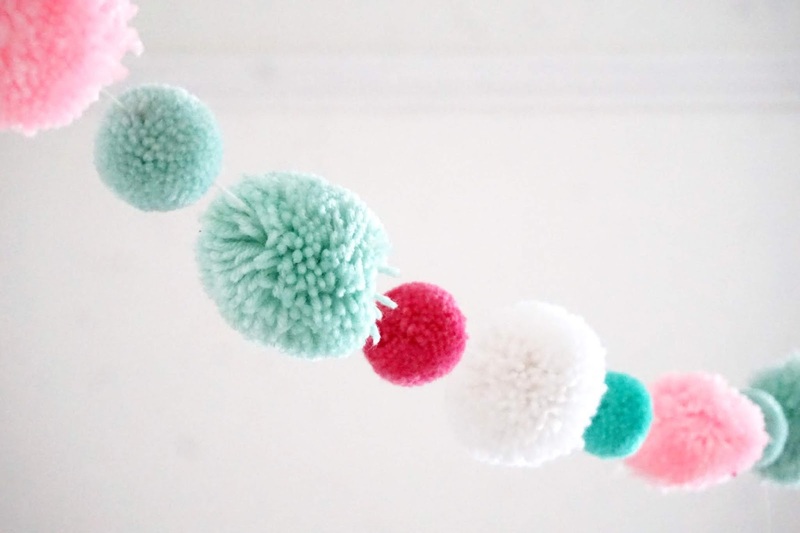 I am planning one wall to be a wall full of their favourite drawings, photographs and some inspirational quotes along with some hanging accessories such as this gorgeous pompom colourful garland and this decorative mobile pompom as I feel they will bring that extra colour into the room and the photo feature wall. 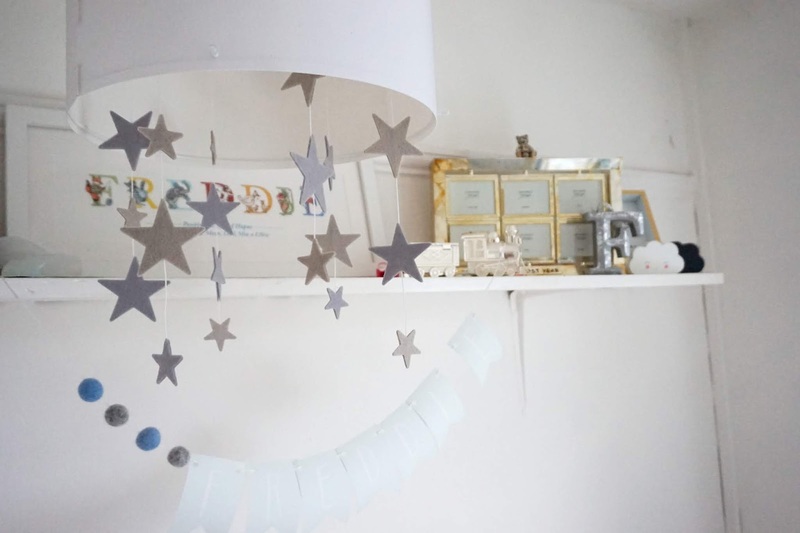 As for the ceiling light, as it's pretty much in the centre of the room, I thought this gorgeous stars and clouds hanging lampshade would look perfect. The last thing I will be sorting out is toy storage for all their toys, figures, books and teddies. Both girls have a ridiculous amount of teddies that they refuse to get rid of. 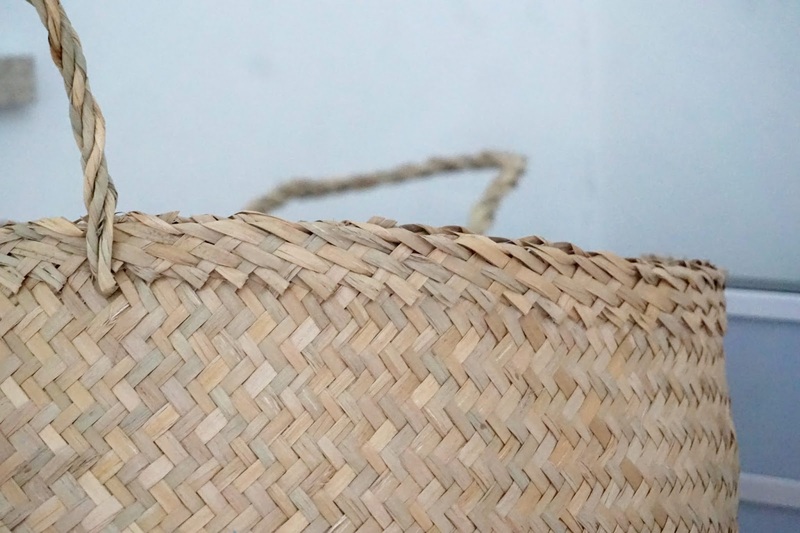 So as their toys will be stored in an ottoman and under bed storage that they currently have, this stunning grey and wicker storage basket would be the ideal basket to store their teddies and blankets. Freddie is 2 years old now and he is literally obsessed with tractors. So, of course, I have gone for the tractor theme for his bedroom. He has white walls, which I am still unsure if I should paint one of them as a feature wall, but for now, it looks fine. He has a large tractor sticker on one wall which adds his personality in the room. Previously, I opted for a neutral elephant theme nursery room as they are my favourite animals. 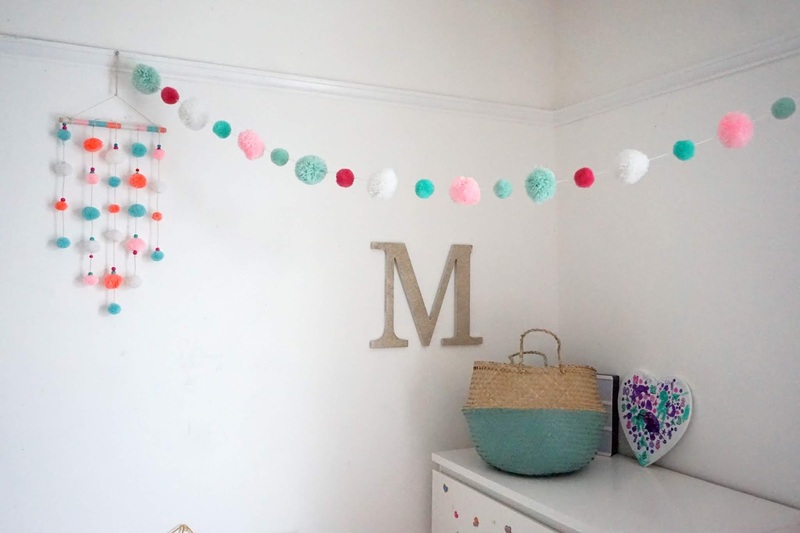 Also because most of the personalised items that I ordered during my pregnancy with him were elephants and I loved all the teddies and room accessories. But now as he is growing, tractors and farm animals suit him best. In the next few months we are planning on transferring Freddie to his own single sized bed, and I'm super nervous with the move. I am sure it will all go well, as when I overthink things, everything turns out quite smooth - we will see. 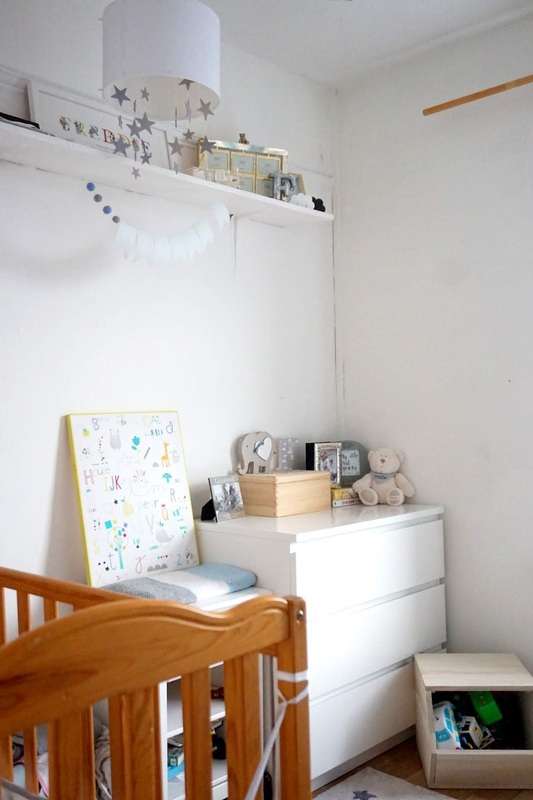 But as we have very little space to move things around in Freddie's room, I am limited on storage space, but as I still want to use the tractor theme, I am looking into a rustic, tractor and farm theme. 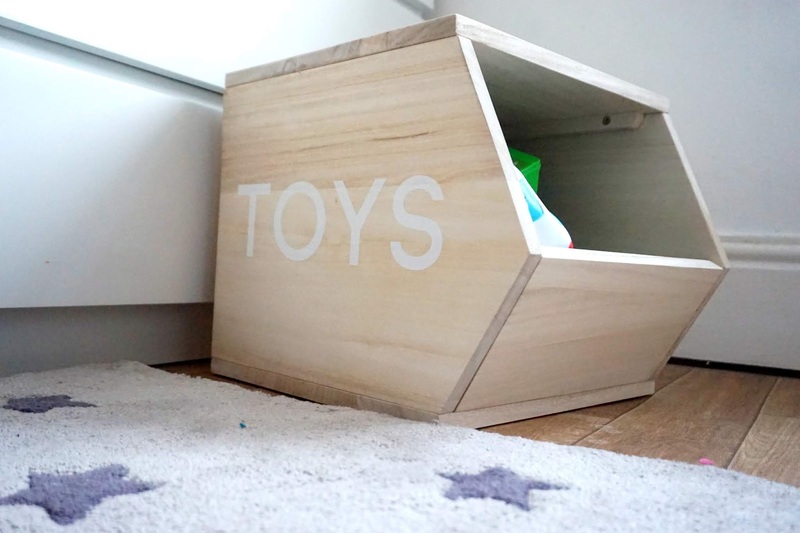 Rustic looking furniture such as shelves and this toys storage cube which I personally feel will be a great added look into his room, not only that, a great box for his toys too. 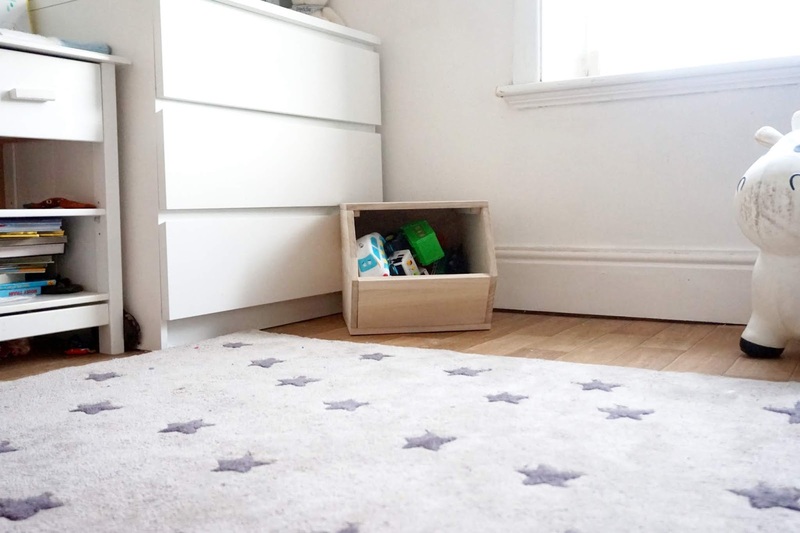 We decided to go against buying a carpet for Freddie's room, as it was previously Mia's room before we put her into the larger room to share with Elliw before Freddie was born. I always love laminate/wooden flooring in bedrooms, so we went with this vinyl wood-like flooring, and I do love it, but it can be difficult to make the room feel and look warm and cosy. There was a small grey cloud rug that I previously bought before he was born and that was from Vertbaudet too. But as I had a chance to choose a few bits, the first thing I searched for was the right rug for Freddie's room. 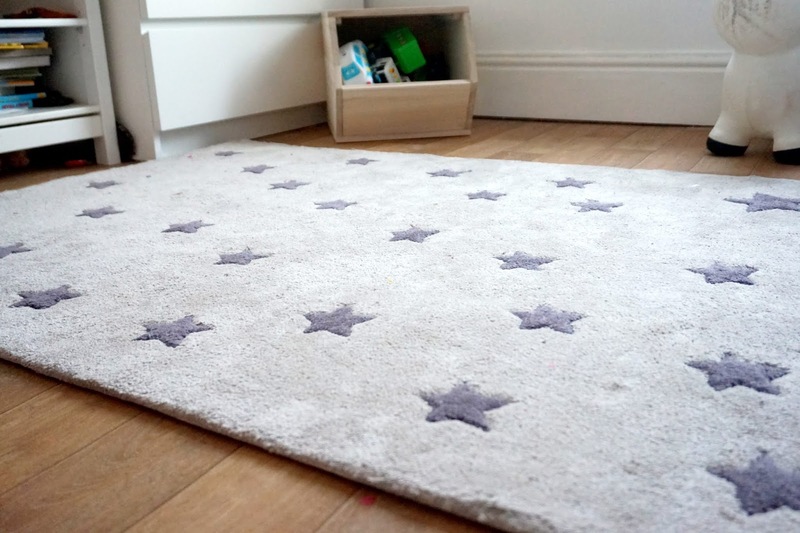 Vertbaudet have some beautiful rugs, and the one I chose was this grey star rug, and it's definitely made the room a lot cosier. 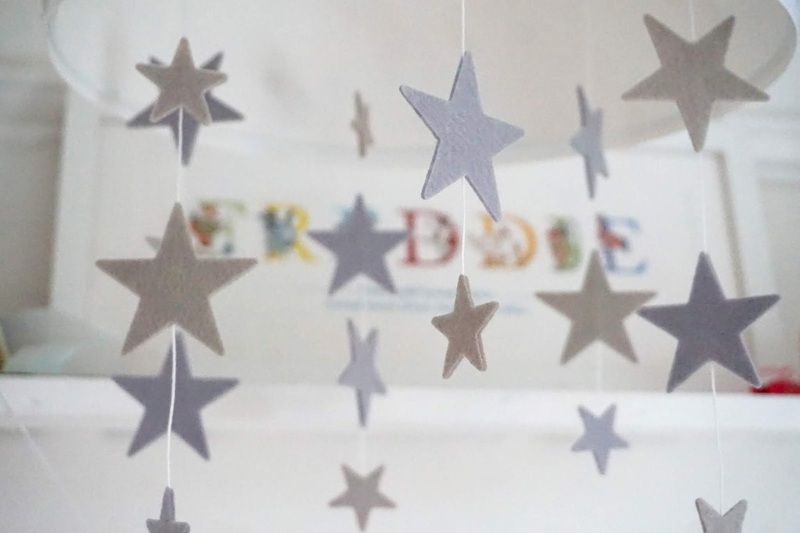 Do your children's bedrooms have a theme? 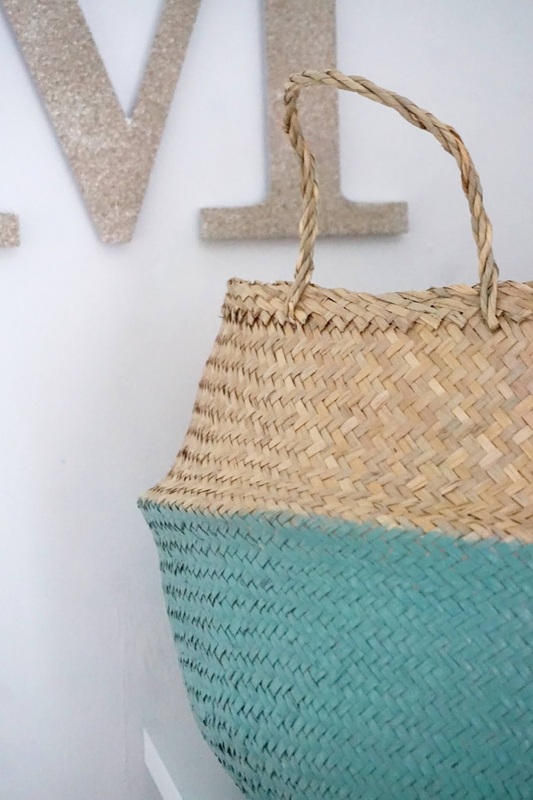 * We were gifted items from Vertbaudet in return for an honest review. We definitely like things in neutral colour for the boys- it's supposed to help bad sleepers! Thanks for linking to #kcacols and hope to see you again soon.